Driver engagement and retention research shows that drivers quit fleet managers, not companies. Most new professional drivers are motivated and engaged when they are hired, yet many often become disengaged and exit within six months. With the cost of turnover conservatively being 1.5 times compensation for each mid-level to frontline employee, and more at higher levels, it is vital to company profits that its leaders are trained to manage people challenges in transportation. Strategic Programs, Inc. interviews and surveys thousands of employees each month about their job experience. We talk with new hires, current employees, and employees who have recently left. By earning their trust in the confidentiality of their responses, and offering several ways to participate, we get candid, highly actionable data. What is the most frequent reason that professional drivers leave their fleet managers? Inadequate supervisor or manager feedback is the main cause of turnover for all levels of tenure, job titles, professions, and other demographics. Professional drivers want to know regularly how they are doing. Giving feedback that fosters engagement requires specific skills and a commitment to following through. Specific – It offers insight into what did or did not happen, and how it could have been improved. Timely – It is not put off for the performance appraisal or a more convenient time. Considerate – Of the person’s and the company’s needs. Quality feedback drives behavior that improves both individual and company performance. Delivered as a fact. Emotional communication detracts from the content. Focused realistically on behavior that, when changed, will have a positive outcome. Ignores the impact on the work unit. Address how the behavior improved or caused a problem. There is nothing like practice to improve feedback skills. When leaders commit to continuous improvement in this part of people management and see it as important to improving profits, the results will be worth the effort. The Internet is a rich source for self-education, and sharing insight with peer coaches or mentors keeps new learning top of mind and can make it fun. Letting drivers know that you are interested in becoming more effective in giving feedback acknowledges your imperfection, shows your learning attitude, and can help others to see that you are both learning when they receive your feedback. One of the most valuable leadership skills is the ability to deliver constructive feedback. Considering the high cost of turnover, it is good business for driver managers to be trained to effectively address people challenges. There is a direct link from a driver manager’s effective feedback to drivers, to employee performance improvement, to productivity, to driver engagement, and retention – which ultimately improves profits. 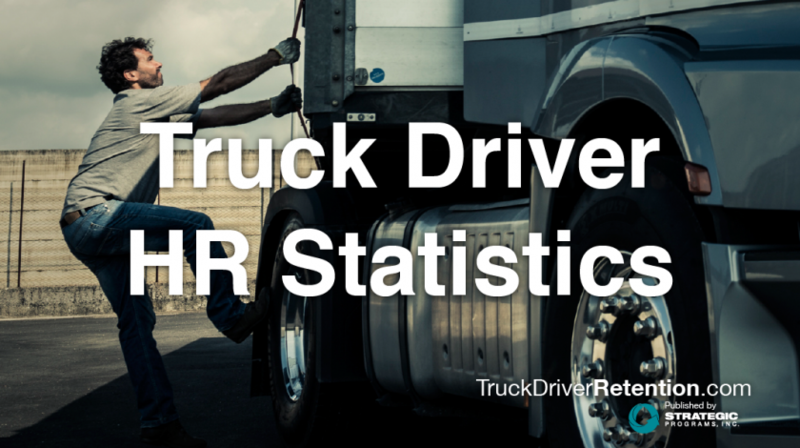 Need help in getting a true assessment on how engaged your drivers are? Look no further than our Strategic Engagement Survey. For more info, send us an email or call us at 800.800.5476. Megan Younkin, People Element's Director of Consultant, has over 10 years experience analyzing client-specific surveys and interpreting the results for clients in several industries. Her trucking clients range in size from 200 to more than 15,000 trucks, including dry van, refrigerated, flat bed, and tankers. She works with leadership to improve the effectiveness of company drivers, lease purchase operators, owner operators, and independent contractors. Megan has been asked to speak at transportation conventions across the country on topics such as driver retention and taking driver satisfaction data to action. With her clients, she implements various People Element assessments and surveys, analyzes the results to find data trends, make recommendations for improvement, and provide tools that help to reduce driver turnover.